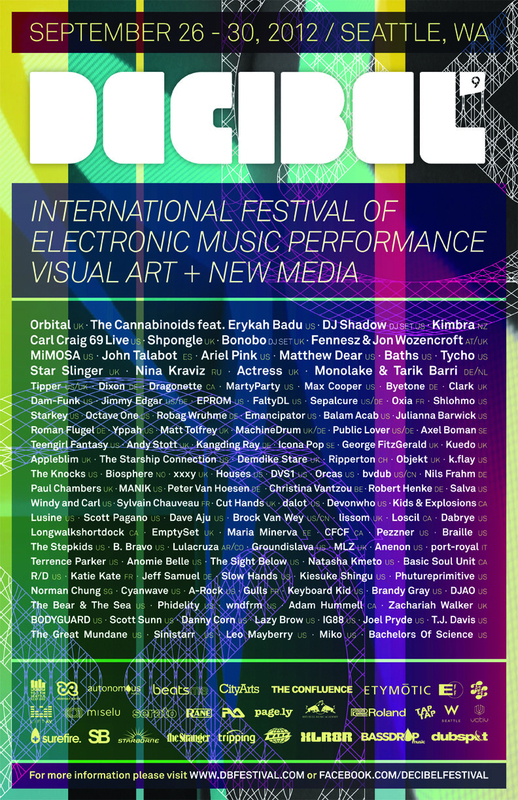 Decibel Festival, Seattle’s annual four-day electronic music event, kicks off Wednesday, September 26th with production workshops, panel discussions, film screenings, art installations and dozens of music performances. Once again we are proud to announced that this year we’ve partnered with Decibel to present a series of music production and DJ workshops and panel discussions with our team of instructors including Thavius Beck, DJ Shiftee, and Chris Petti. We are of course sending a camera crew along and we’ll be documenting the festival with frequent updates on our Facebook, Twitter, and Instagram. We kick off our workshops and panels on Wednesday with Dubspot Curriculum Director Chris Petti exploring interesting ways to create new sounds with everyday items in “Sound Design with Common Objects,” while Dubspot Instructor and 2X DMC World Champion DJ Shiftee will demonstrate using Native Instruments’ Maschine in conjunction with Traktor S2 to create engaging DJ sets and performances. 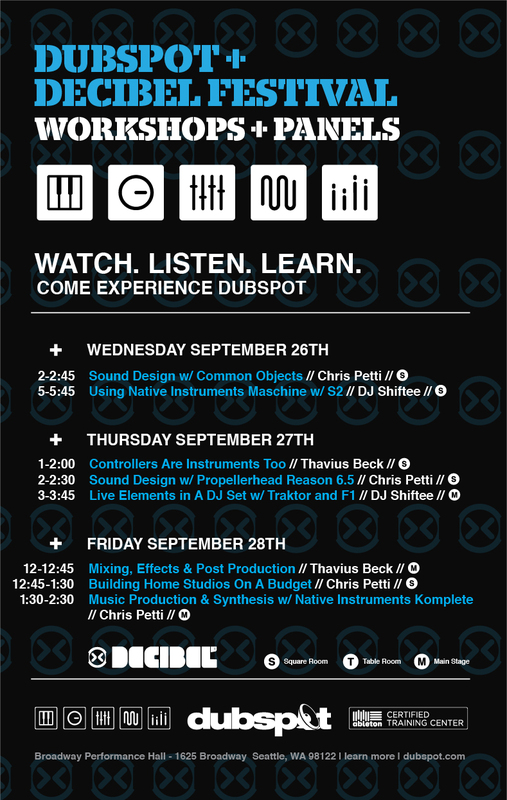 On Thursday September 27th, Dubspot Instructor Thavius Beck will discuss aspects of MIDI controller design and the way in which the form of the musical interface is changing the music itself, Chris Petti will examine different ways of using Reason 6.5, and Shiftee will talk about using Native Instruments’ Kontrol F1 with Traktor. On Friday September 28th we’ll close with three workshops including “Studios On A Budget,” a session with Chris Petti that looks at how to build a home studio, DJ workstation, or recording environment on a limited budget using affordable household materials and a few innovative tools and tricks. For its 9th anniversary, Decibel Festival has gathered an exceptional list of international electronic music artists and performers. This year, headliners include electronic music giants Orbital, Carl Craig, Matthew Dear, Monolake, Bonobo, Star Slinger, Actress, John Talabot, Nina Kravitz, Fennesz and Jon Wozencroft, as well as The Cannabinoids featuring Erykah Badu, DJ Shadow and a wide array of electronic music artists including Machine Drum, Shlohmo, FaltyDL, Maria Minerva, Teengirl Fantasy, Demdike Stare, Andy Stott, and Dam-Funk.